As if Barcelona didn’t have enough to offer within city limits, it’s also a stone’s throw from wooded beach coves, skiable mountains, and photogenic villages. In some cases, you might rent a car, but in others, a bus or train will get you to these magical locations in just an hour or two. 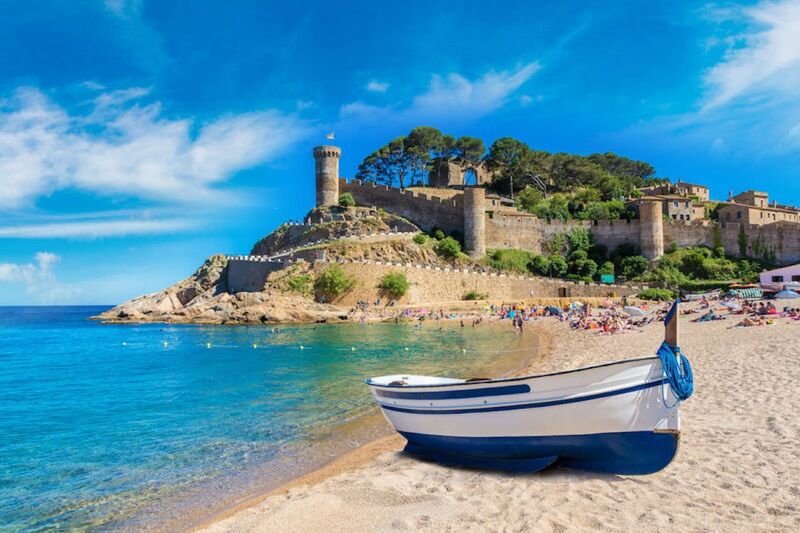 Costa Brava – Visitors are amazed to find these postcard-perfect beach coves tucked into forested hillsides just a short drive from Barcelona. Llafranc is one such cove. If you rent a car, arrive by 11:00 AM so you can find parking. Spend the morning at the beach then walk along the wooded paths along the short cliffs that connect one white-sand beach to another before returning to Llafranc for a leisurely Catalan lunch. Other pretty beach towns include Aigua Blava and Tossa del Mar. 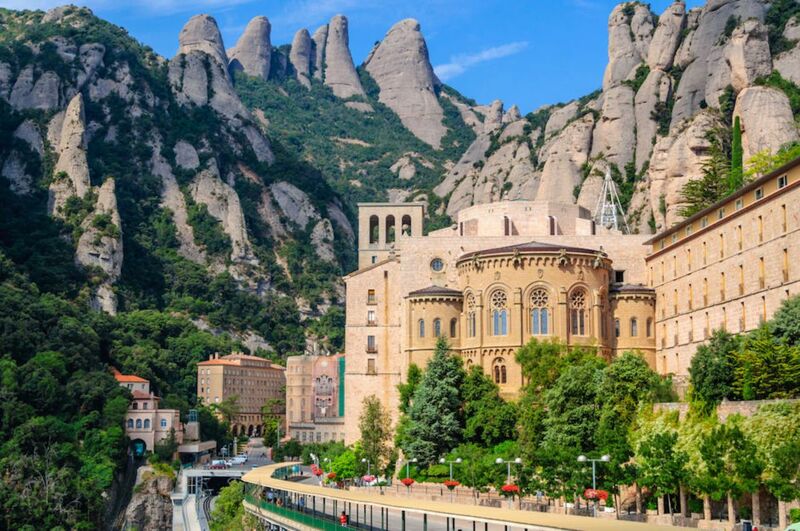 Montserrat – Montserrat means “serrated mountain,” an apt description for this jagged mountain range, in the middle of which sits an impressive monastery. A combination train and cable car ticket available for purchase at Plaça Espanya will cost you 20 euros and get you here in about an hour. Once at Montserrat, check out La Moreneta, the black Virgin Mary, inside the monastery. A boys’ choir sings in the basilica twice daily, except in July and around the winter holidays. The monastery is usually packed during summer, so ditch the crowds and hike from there to the peak of Sant Jeroni. It’s about an hour and a half one way. La Cerdanya – You can reach this valley in the Pyrenees in an hour and a half by car. In the winter, Barcelona skiers and boarders head to the ski resorts that ring the valley. The closest one is La Molina. It’s small but has pretty tree-lined runs and a few steep slopes. The next mountain over, Masella, has many more skiable acres and takes the larger share of day-trippers from Barcelona. (Venture another forty-five minutes to find resorts on the French side of the valley.) You can rent equipment at La Molina or Masella in the town of Puigcerdà or stop at one of the handful of ski and sports shops in Barcelona before you go. 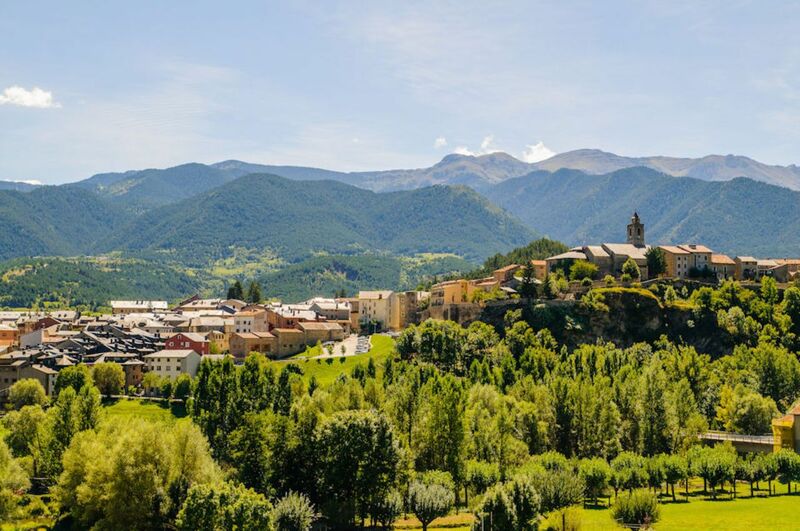 Sant Miquel del Fai – While you see Montserrat as you drive on the main highway to the La Cerdanya ski area, this monastery built into a rocky mountainside is hidden away from any major thoroughfare. Take the E9 bus from La Sagrera to San Feliu. From there, look for the big eagle sign and follow the arrows painted along the wooded hiking trails for about four miles. You can take pictures once you reach the monastery or enter for around 8 euros per person. 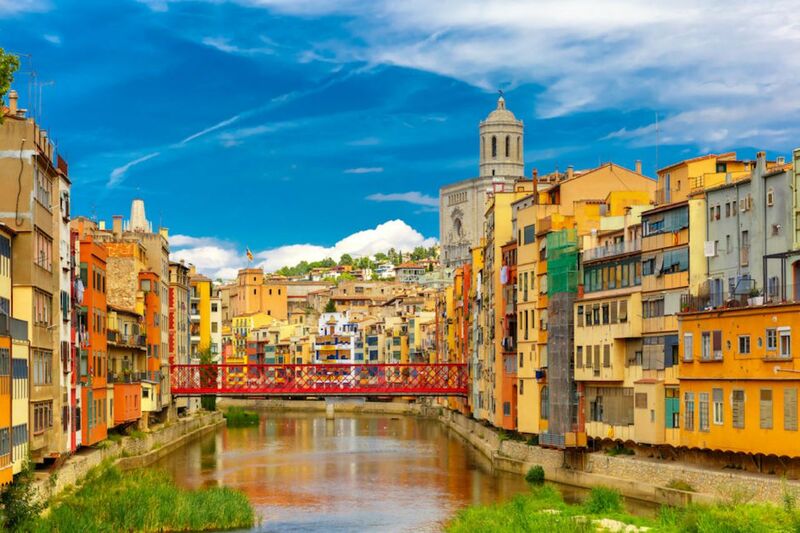 Girona – The city surrounded by forests has become a more noticeable dot on the map since its cathedral was featured in season six of Game of Thrones. Even before that, travelers with a little more time would take a day to visit this medieval city on the Onyar River. Walk along its Gothic walls, check out its historic Jewish quarter, and, of course, visit the Girona Cathedral. The province of Girona is also home to dozens of wineries, so prepare for a late, long, boozy lunch before heading back to Barcelona. It’s about an hour and a half bus ride to Barcelona or 40 minutes on the high-speed AVE train. 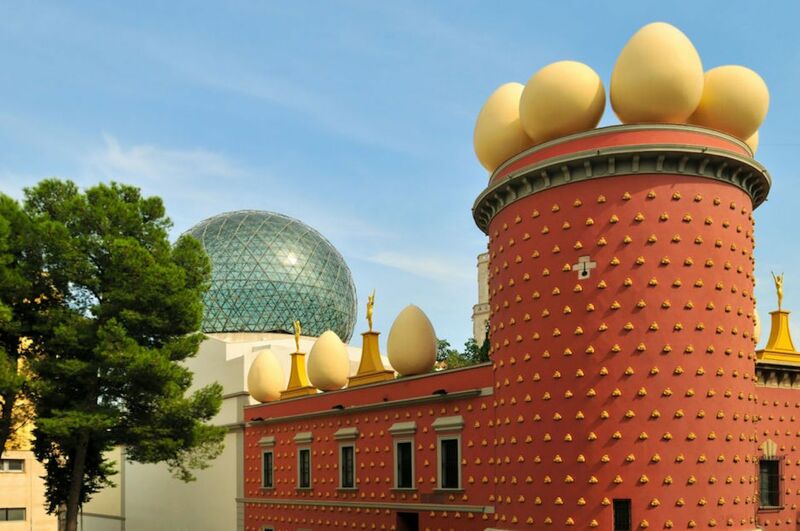 Figueres – The museum that surrealist artist Salvador Dali built in his hometown of Figueres is both ridiculous and irresistible. Despite Dali’s unsubtle poo-pooing of the whole museum idea – the building is essentially a cartoon castle dotted with fake brown turds – it’s still packed with visitors in summer. That may be because the bizarre sculptures and installations are a fresh break from so many classic art houses, and the paintings do reflect Dali’s artistic genius. Book a few days in advance. After your visit to Dali headquarters, stroll around Figueres, a traditional Catalan town with a chill vibe. 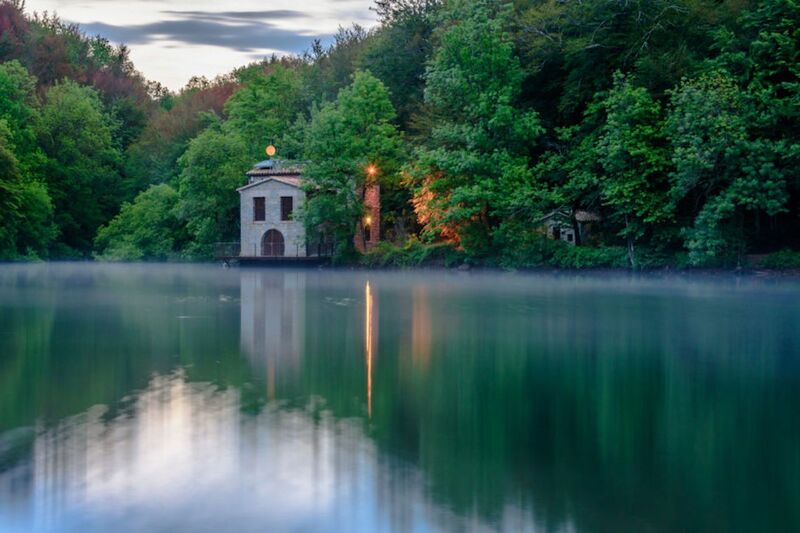 Parc Montseny – The wooded foothills northwest of Barcelona conceal tiny towns built hundreds of years ago. Many of the older locals here speak Spanish with a heavy Catalan accent. 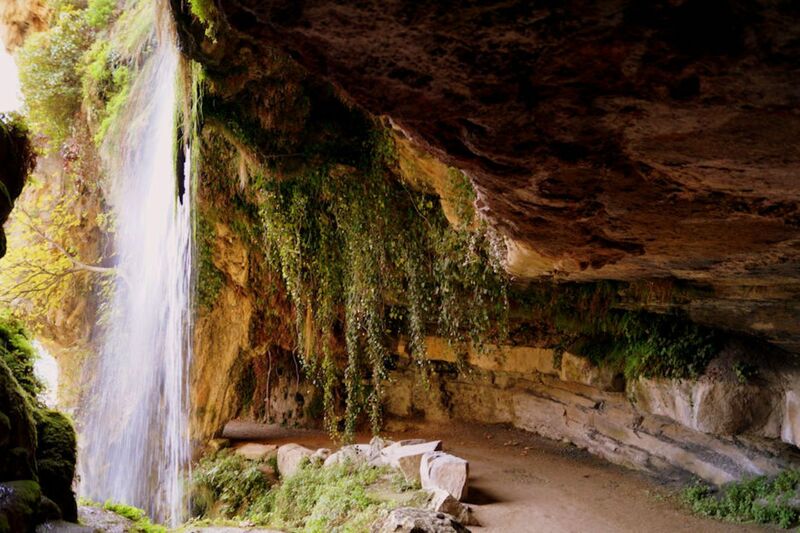 You’ll find Montseny, a massive natural park crisscrossed with hiking trails, in the area. It’s most beautiful during the month of October when crimson leaves adorn the trees and in spring when almond trees are in bloom and wildflowers line the trails. Matagalls is a challenging hike that takes you up about two and a half hours from the parking lot to the top of the hill. If you’ve planned ahead, you can have a picnic on top. 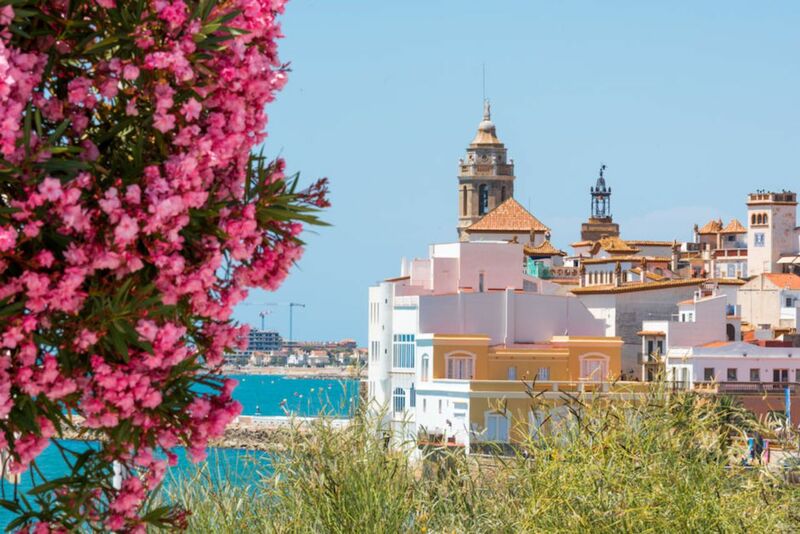 Sitges – A train from Plaça Catalunya will take you to this beach town with cobblestone streets and whitewashed houses. Unlike the quiet villages of the Costa Brava, Sitges also has a few tall buildings and a sizable year-round population of artists and hippies. Sitges is known as a very gay-friendly town, hosting its own Pride festival, which kicks off the city’s buzzing summer season. A surf school takes a corner of the beach every summer afternoon while the Sitges Film Festival is a hit every October. 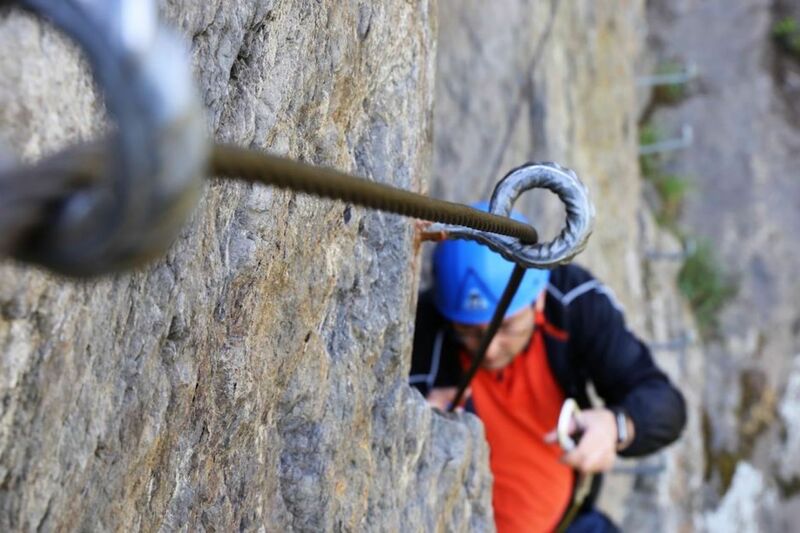 Via Ferrata Castellcir La Penyora – Via ferratas are climbing routes lined with a cable, usually metal, to make vertical ascents a little safer and more accessible to people who aren’t seasoned rock climbers. There are a few of these outside of Barcelona, and this one – an hour north of Barcelona in Centelles – even has metal stairs hammered into some parts of the sheer rock wall. The entire route includes multiple crazy, wobbly walking bridges and takes two hours to finish. Gavà and Castelldefels – If you don’t want to go as far as Sitges but have a car, two other beaches you can drive to are Gavà, which is not far from El Prat Airport outside of Barcelona, and Castelldefels, which you’ll find situated off the highway just before the tunnel that takes you to Sitges. Neither beach is crowded, and both are great for swimming. 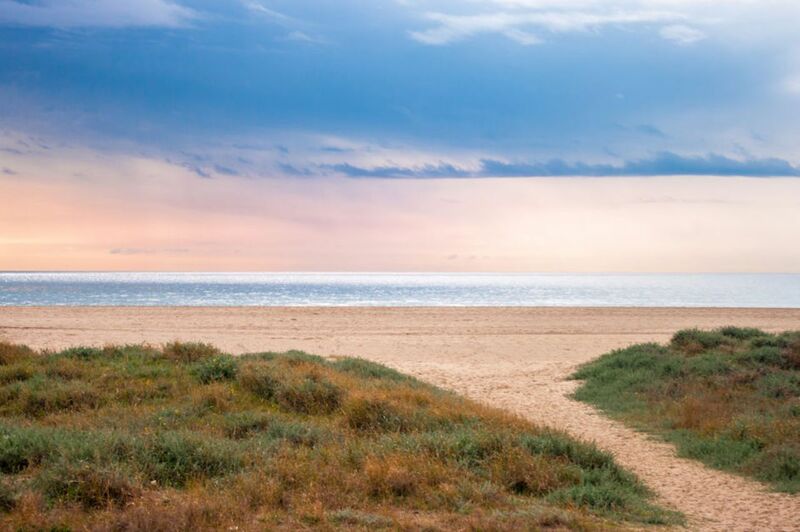 The jetty at the far end of Castelldefels forms a natural wave that can be surfed albeit only with a longboard. Both beaches are only 20 or so minutes by car, so you could just come here for an afternoon.